Nicolette has been crafting for as long as she can remember. Afternoons spent with her grandmother learning traditional Indian embroidery and creating toys and games from matchboxes and old corks meant that Nicolette really was ahead of the curve when it came to up-cycling. These early days influenced how she approaches creativity today (why buy it when you can make it yourself?). She has been cooking almost as long as she has been crafting, and in 2010 Nicolette started a blog, Archie & the Rug (named after her two dogs) dedicated to doing it yourself. She develops her own recipes, creates crafts for all abilities, makes kitchen beauty products and shares her own unique view on fashion and style. The blog now attracts around 30,000+ visitors per day and she treats it as a full-time job. Its success led to a job presenting TV's Superscrimpers in 2013. She has since taught courses on blogging, starting creative businesses and photography for bloggers and crafters, lectures widely on thriftiness and is the web editor of new publication Homemade With Love. 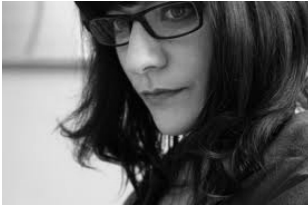 Nicolette now splits her time living between the arty West Yorkshire town of Hebden Bridge and Paris. 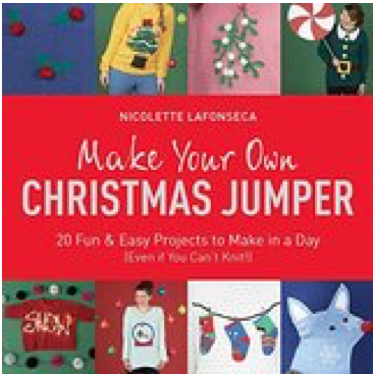 Nicolette's first book - MAKE YOUR OWN CHRISTMAS JUMPER - was published by Quercus in Autumn 2016. Follow Nicolette Lafonseca on Twitter. Follow Nicolette Lafonseca on Instagram.